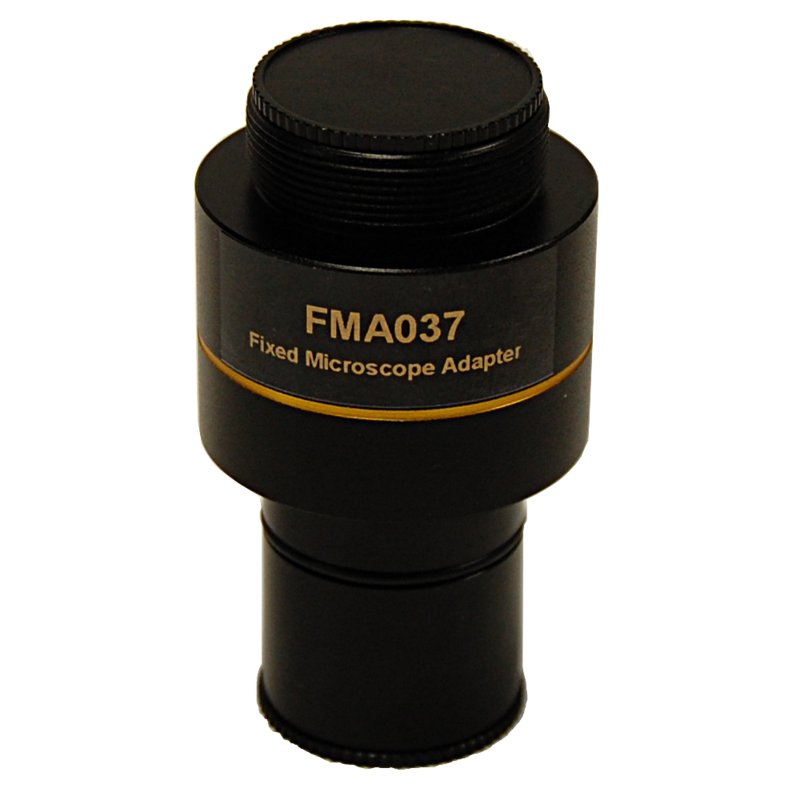 This economical 0.37X fixed adapter will mount the Optixcam SK2 or SK3 series digital camera to any microscope with a 23.2mm smooth bore eyetube or trinocular port. It is optimized to project a clear flat-field image onto a 1/3 inch sensor. 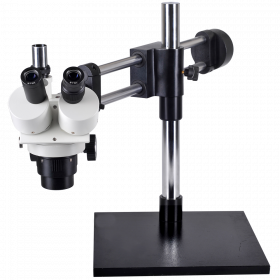 The new Optixcam OCS-SK2-HDMI-7 high-definition CMOS color microscopy camera is a professionally-designed, stand-alone imaging solution offering sharp, 1280 x 720 resolution images or video @ 30Fps in a cost-effective package. 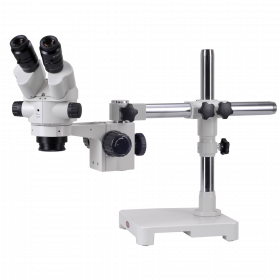 The camera offers direct streaming to an HDMI monitor without the complexity of computer software, making it an ideal imaging solution for fast-paced industrial environments and technical training classrooms.FeaturesHDMI (High-Definition Multimedia Interface) technology brings a number of key benefits to digital microscopy, including richer color definition, better signal integrity, greater bandwidth capacity, encryption protocols and high-definition video. 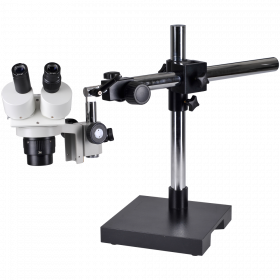 The OCS-SK2-HDMI-7 offers this technology in an affordable and versatile package for the PCB auditor, industrial inspection line or clinical teaching laboratory. 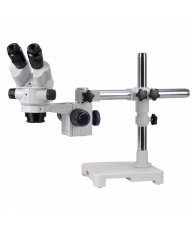 Mounting & ControlsThe SK2-HDMI-7 is specifically designed to enhance the Omano line of stereo inspection systems, with a robust metal housing, C/CS Mount and a useful tripod screw attachment point. Improved functionality includes on-camera controls with intuitive, menu-driven buttons for cursor control, image save (to optional SD card), video freeze and Auto White Balance on/off. The cursor button will toggle between 5 different patterns including parallel vertical, horizontal, grid and cross-hair pointer. The camera features a standard C-mount which will accept any standard c-mount adapter. 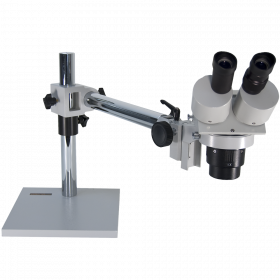 The optional 0.37X reducing adapters shown above will mate with any 23mm smooth bore microscope eyeport or trinocular tube. Processing & OutputThe camera has fast white balance correction for excellent color reproduction and an output resolution of 1280 x 720 in format. 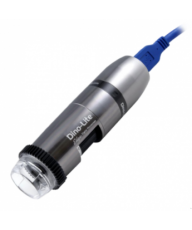 With 30 FPS live response rate, the OCS-SK2-HDMI-7 quickly reacts to changing lighting conditions in any life science, clinical or material application, sending a sharp video output to an HDMI monitor. 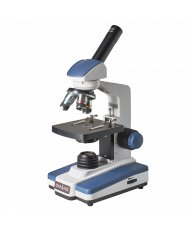 An SD card memory slot offers additional storage capacity (SD card not included)..MicroscopeThe Omano OM10K zoom microscope provides 7x-45x zoom range with coarse/fine focus and click stops that enable the operator to dial in the exact same level of magnification for different specimens for easy comparison. 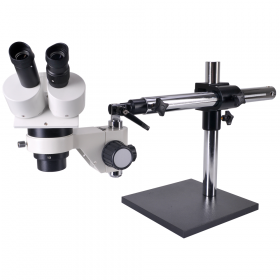 Each microscope includes a 0.5x Barlow lens which enables maximum working distance of 6.75". An 80 LED ring light is included. 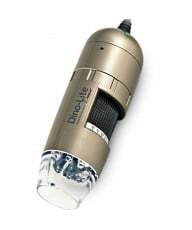 Optional illumination upgrades include dual pipe LED or 64 and 144 LED ring illumination systems.StandThe Omano V3 pole stand's ergonomic design includes beveled leading edges for operator comfort. It features a tall, 12" vertical pole for extended working distances and a 12" x 12" base with rubber feet to protect your worktop. A safety collar and black/white contrast plate is also included.Camera AccessoriesAccessories include power supply, remote control, HDMI cable. 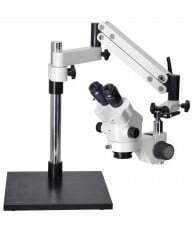 Microscope AccessoriesIncluded 80 LED fluorescent ring light. Please note: Monitor not included.